If you use a club with a lot of backspin you can go straight on the green. Have your second bounce up towards the pin. Stay away from the bunker and the rough. Use 6 bars of backspin combined with 5 in left sidespin. Use the slope on the right side of the green and let it roll down to the pin. This way is probably your best chance at a hole in one. Use 4 bars of backspin to bounce it right to the pin. 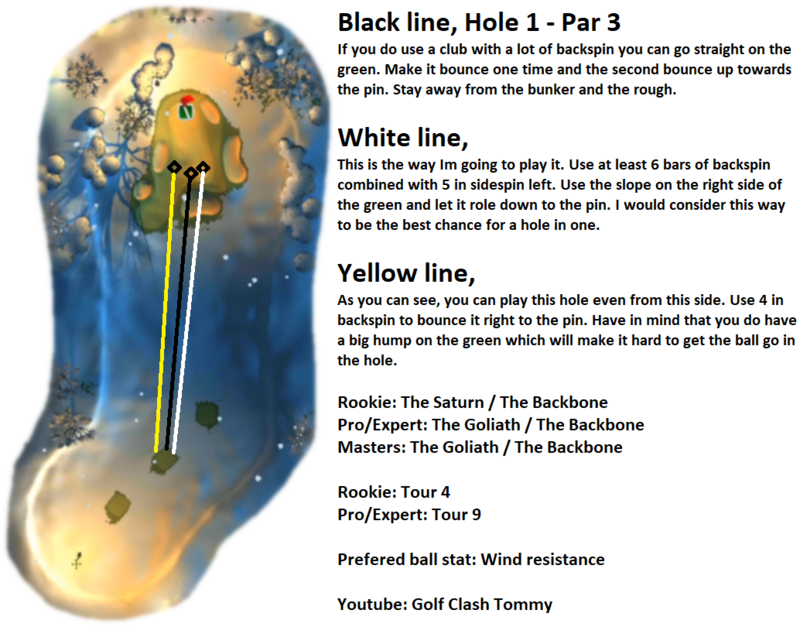 Keep in mind that there's a big hump on the green which will make it hard to get the ball in the hole.